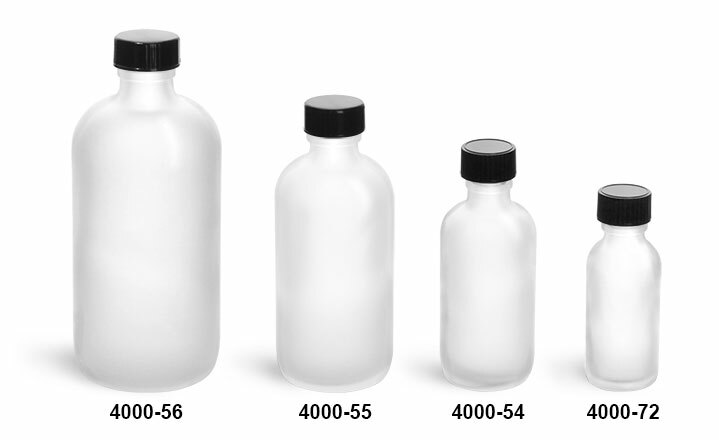 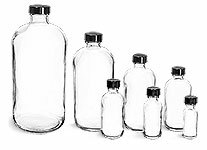 The frosted glass boston round bottles with black phenolic cone lined caps come in four convenient sizes. 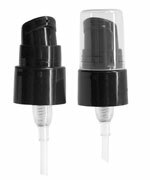 The cone lined closures provide a good barrier with liquid type products. 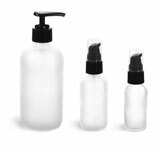 The frosted effect is a great way to enhance the value of your product line by giving it a sophisticated look and adds visual and textural appeal. 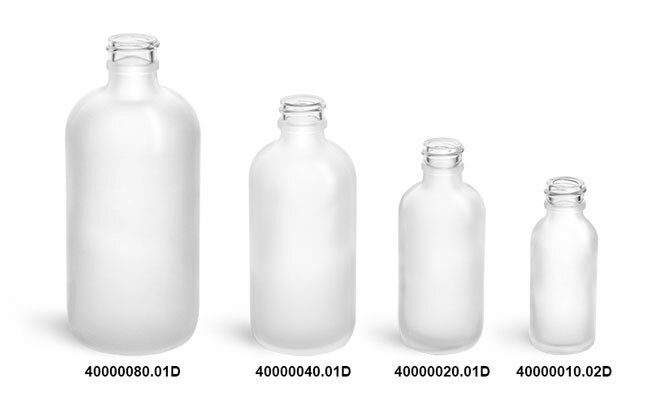 Consider all three sizes to complete your product line!